One of the prime examples (of musical longevity) for myself and our group – maybe because we're so close and have such a strong relationship with him – but 'Uncle Neil,' Neil Young, is still working and constantly inventing sounds and songs on his instrument, and changing the sound. That's where you see that there really are no boundaries. And he just keeps going; he's never been satisfied, even with the grand state of what he's accomplished already. The acreage that he’s accumulated over the years – speaking of it as a musical landscape – you can't, the eye can't, see to the edges of that, and yet it still goes further. Maybe that’s what he meant on (the 1995 Young/Pearl Jam album) 'Mirror Ball,' with (the song) 'I'm The Ocean'." Eddie Vedder: "For us as a band, being with Neil makes us feel like we're pushing ourselves a little bit," Vedder noted. "And then you realize – it's really interesting – not that you're trying to keep up with him, but that you try harder, for sure." 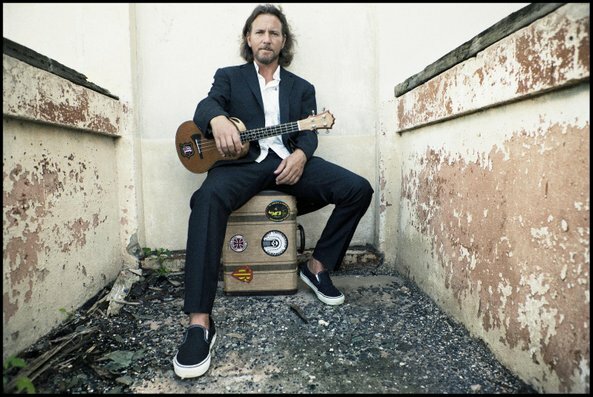 More on Eddie Vedder, Pearl Jam and Uncle Neil Young. All other creatures look down toward the earth, but man was given a face so that he might turn his eyes toward the stars and his gaze upon the sky. Sun in the wings of dragonflies, over a meadow still in shadow: a dove calls from the secrets of the mountains.